JetBlue today announced the launch of its seventh pilot recruiting pathway, Gateway Select, the airline’s new competency-based training program for aspiring pilots.JetBlue also announced it will partner with CAE to help deliver Gateway Select’s training curriculum, leveraging CAE’s experience in delivering competency-based training programs to airlines throughout the world. Gateway Select allows participants the opportunity to become JetBlue pilots after completing a rigorous four-year training program that incorporates classroom learning, extensive real-world flying experience and instruction in full-flight simulators. The highly selective program is designed specifically for candidates without previous aviation training who demonstrate the most desired qualities in a pilot. With Gateway Select, JetBlue hopes to train and hire high-quality pilots while also making the profession more accessible to a broader range of candidates with diverse backgrounds and experiences. JetBlue anticipates the program will open up the profession by helping make the dream of becoming a pilot a reality to people who would not have had the opportunity. Applicants will undergo a series of assessments aimed at identifying those who demonstrate the qualities needed to become a high-performing pilot. 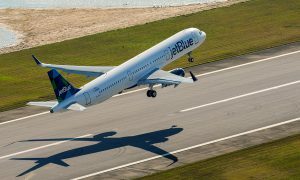 The evaluation is based on recommended International Civil Aviation Organization (ICAO) pilot competencies and JetBlue’s own selection criteria, including commitment to JetBlue’s unique customer-focused culture. First, applicants will complete locally proctored tests covering a range of skills like multitasking, critical thinking, spatial orientation, and hand-eye coordination. Those who qualify from the initial assessment will advance to an onsite testing and interview process at JetBlue. Of the final candidates participating in the onsite testing, 24 will be offered a placement in Gateway Select. They will begin the program in a series of small groups, with the first targeted to begin in late summer 2016. Gateway Select takes the best from training programs used by the U.S. military and international airlines, and applies the same safety standards and federal requirements as current pilots. 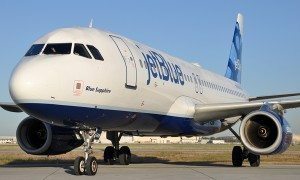 Trainees will begin at JetBlue University in Orlando for four weeks with the fundamentals of aviation. Trainees will continue to CAE’s flight academy in Phoenix for 30 weeks to develop core flying skills. Upon completion, candidates will receive their private pilot’s license. Trainees will then return to JetBlue University for training on highly complex transport category aircraft, concluding with the completion of the Airline Transport Pilot – Certification Training Program (ATP-CTP). Training will include the safe and efficient operation of the Embraer 190 (E190). Next, trainees will return to CAE in Phoenix for 12 weeks of additional FAA licensing requirements. Trainees will then attend an instructor course to achieve their CFI (certified flight instructor) qualifications and ratings. Upon completion, trainees will then begin working as entry-level salaried instructors for CAE’s flight academy while accumulating flight hours to achieve the FAA’s 1,500 flight-hour requirement. 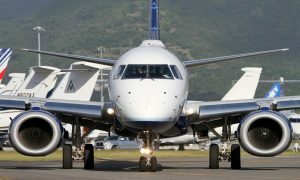 Once meeting the FAA and Gateway Select requirements, pilots will become a new hire at JetBlue, where they complete the same orientation and six-week instruction that all E190 first officers complete. Recognizing the need to support further diversity into the pilot profession, JetBlue will work to recruit applicants from minority colleges and technical schools, and partner with organizations seeking to promote greater inclusion in the pilot community. Because the traditional model requires pilots to make a significant financial investment over numerous years without the guarantee of a job, Gateway Select has been designed to bring more predictability and a lower overall cost to aspiring pilots. Trainees will receive a contingent job offer at the beginning of the program, guaranteeing them a position with JetBlue if they complete all elements of the program successfully. Trainees will also have an opportunity to earn a competitive salary while working as entry-level flight instructors with CAE. JetBlue hires hundreds of new pilots every year, recruiting through its seven pilot pathways. 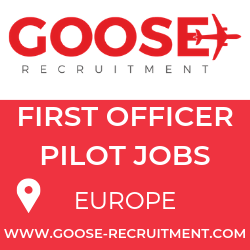 These pathways include University Gateway, Blue Dart Sponsorship and qualified first officer recruiting.